We’ve got feedback from some who are not at ease nor have the necessary engineering skills to mess around with soldering individual electronics components, cables and connector adapters. We therefore think there is a need for proposing a high quality reliable plug and play “Power & Measure” solution, working also for higher voltages than 4S batteries. 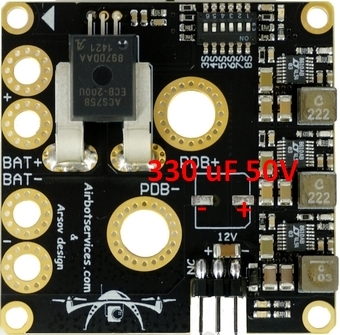 which is a companion stackable board for those who need a power distribution board. 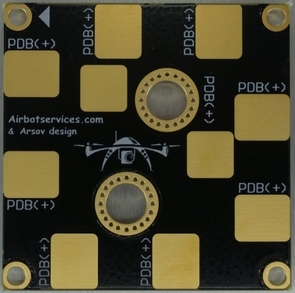 AirbotPower can be used alone, without a stacked AirbotPDB board, to retrofit (upgrade) a drone that already has its own existing PDB. 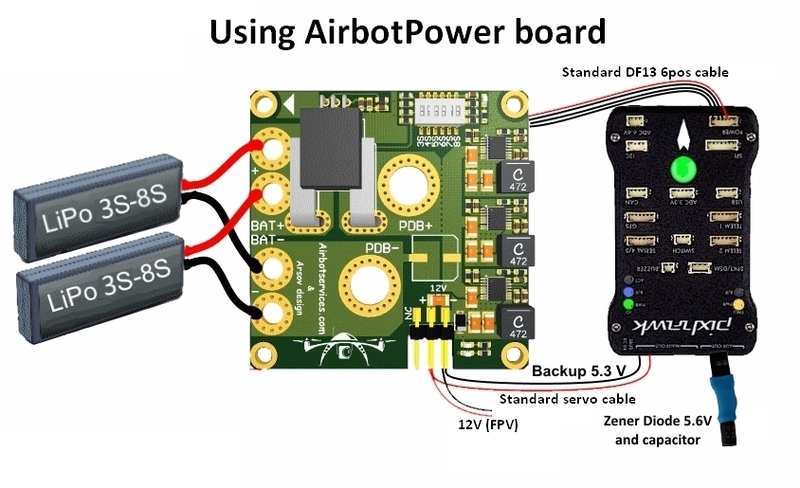 AirbotPower works to power any flight controller & FPV systems by providing triple power feeds: 2x 5.3V & 1x 12V (up to 3.5 amps each). 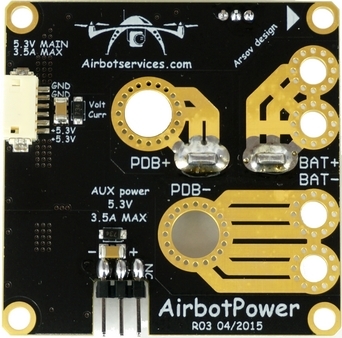 In particular, AirbotPower has been designed with Pixhawk in mind: from electronics, to voltage levels and connectors for a direct plug to Pixhawk using “off-the-shelve” servo cable and a DF13 6position cable eliminating any painstaking efforts with soldering, hacking connectors and cables. 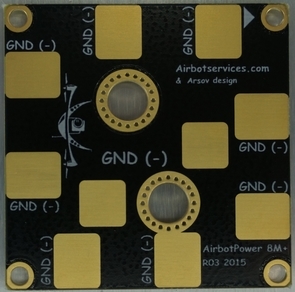 With AirbotPower base board, is also delivered an extra safety electronic module that plugs on Pixhawk’s servo rail: the famous Zener Diode 5.6V (5W) + capacitor. 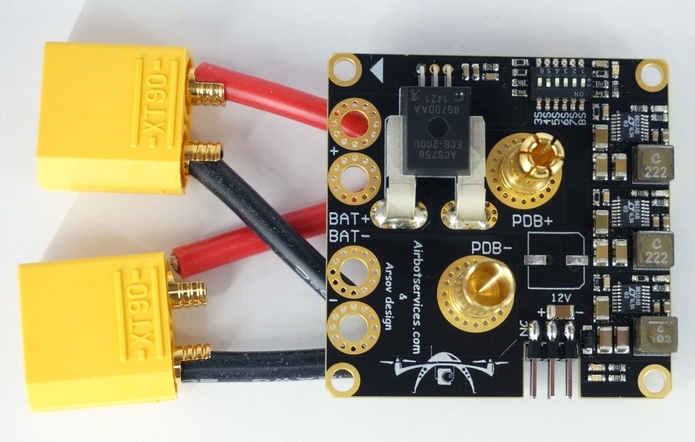 This safety module is required on Pixhawk servo rail to eliminate any short voltage spikes fed back to Pixhawk from connected devices & servos which would cause Pixhawk to shutdown (electrical protection). In addition, a notorious issue is current measurement. 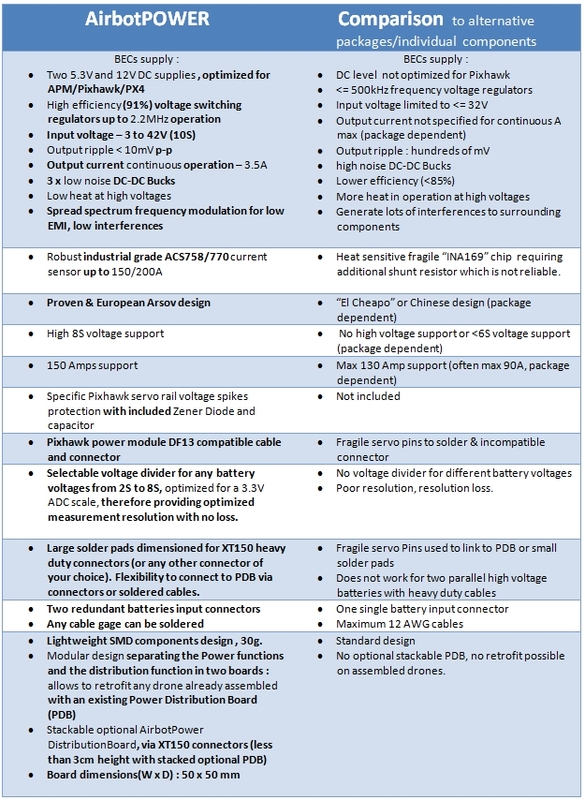 It has always been unreliable and difficult due to limitations and fragility of the ready-to-use solutions that were offered until now on the market: either a 3DRobotics power module (limited to 4S and 90 amps) or an Attopilot module (limited to 90 amps and very fragile with its INA169 chip damaged very easily by heat when soldering wires) or any other INA169 based power modules, which are producing high fluctuation measurements as soon as you have L/R/C on its output. Large XT150 heavy duty connectors solder pads to either stack AirbotPDB or to link to an existing PDB. 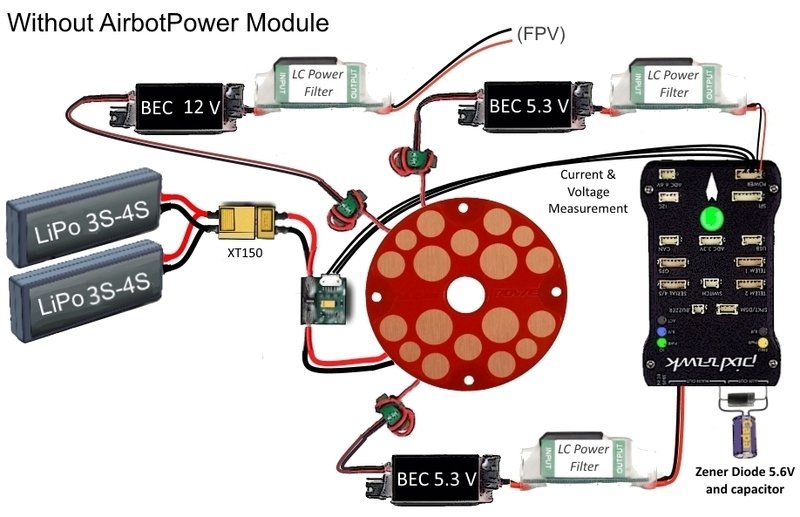 Flexibility to connect to PDB via connectors or soldered cables. No messy wiring & no cable fiddling thanks to a 6-pin DF13 output connector to connect the board to Pixhawk's 6-pin power port. 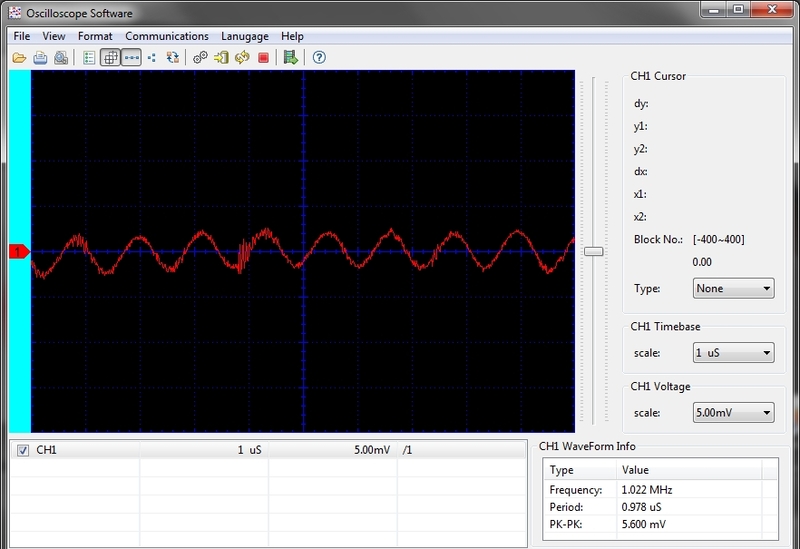 Figure5: shows voltage ripples under a 5amps load is less than 6mv ! All three power sources have the equivalent of a L/C filter. We use the newest Linear Technology "QUIET" series DC-DC Bucks with less than 10mV ripple/noise, making it ultra-quiet, extremely low voltage ripple and low EMI. The LT8610A/LT8610AB series are compact, high efficiency, high speed synchronous monolithic step-down switching regulators that consume only 2.5microA of quiescent current. They have higher maximum output currents of 3.5A and a faster minimum switch-on time of 30ns. 2. At least one of the DIP switch switches MUST be switched ON towards the ON mark (or towards the battery number marks); You select the DIP switch according to your battery S level : 3S to 8S. Failing to do so might damage the board. 4. 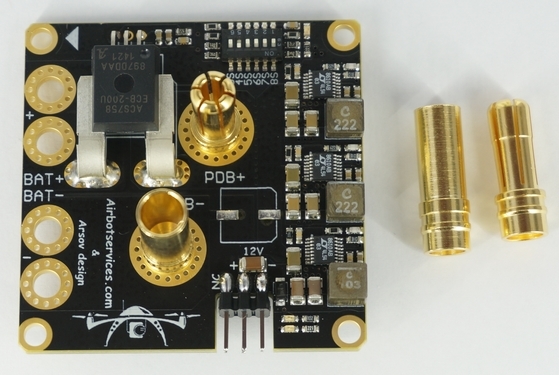 On the bottom of the Power Board, there are some gold plated traces between the sensor and the 7mm holes and between BAT- and the PDB- . It is advised to add some solder on them for extreme currents. To do this you'll need at least a 80W soldering iron and must use good solder with 2-2.5% non-corrosive flux. 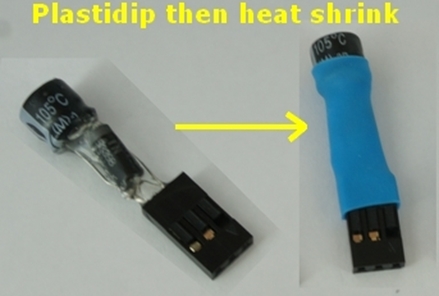 Higher power soldering iron leads to shorter heating time which is better for both the PCB itself and the components. Applying heat for too long might damage the board. 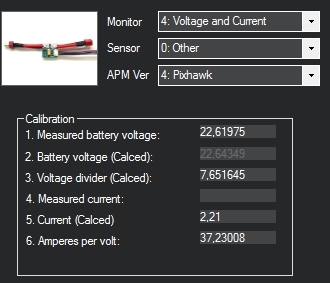 5.Calibrate your current and voltage readings for absolute precision measurements. In addition, the output of the ACS758 current sensor produces a voltage of +0,6V (offset)+20mV/A (i.e. set APM:Copter parameter “BATT_AMP_OFFSET” to a value of 0,6). The amp/volt parameter in mission planner should be more or less around 45-50.